How can organizations provide protection against data breaches for cloud data? Unprotected data is vulnerable to a wide variety of breaches by attackers that can have significant consequences on the cloud architecture security and/or the organization’s business itself. A system is established that provides encryption of sensitive data so that if it is lost, it is not readable by an attacker. Using validated encryption and governance that meets enterprise security assurance levels, data at rest is encrypted. 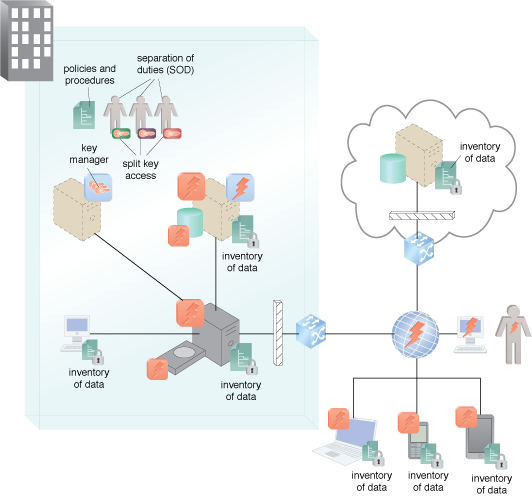 The use of enterprise encryption for sensitive data.